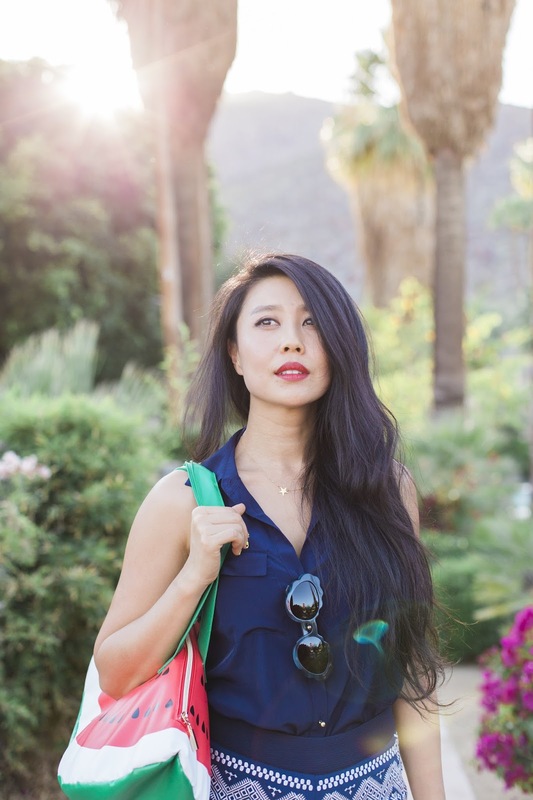 Pairing a top from my everyday wardrobe with printed shorts and adding an unexpected touch of whimsy for another Palm Springs day outfit to wear in or outside of Coachella! In the past, I've been guilty of having a Coachella wardrobe that's entirely quarantined from my everyday style. As soon as April hits, I find myself crowning (my head!) with a nest of flowers and living in ripped jeans and barely there crop tops. It's not really my look but I do it to bump up the Coachella vibes. And while the outfits are definitely festival apppropos, they're confined to the desert, to the Mojave stage, to the giant ferris wheel. This year I'm going to try to incorporate versatility into my Coachella looks, mixing pieces from my everyday basics with a few flower power necessities. Key accessories and festival inspired beauty looks will hopefully draw out the boho girl without having to overhaul my not-so-boho closet. 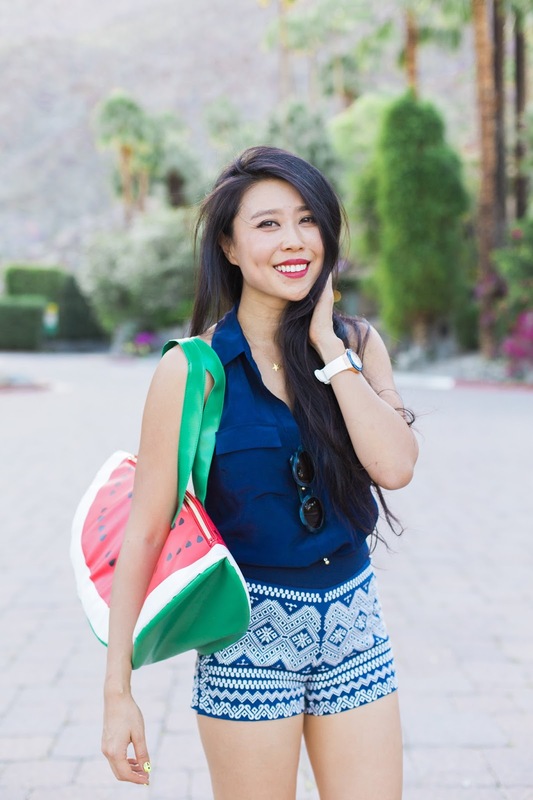 I wore this navy outfit to Palm Springs a few weeks ago and love its versatility. 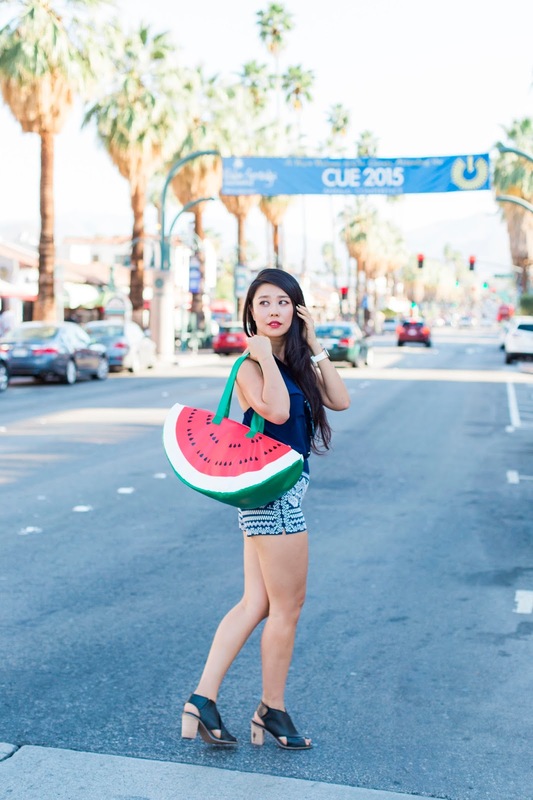 I paired a silk wear-to-the-office shirt with printed shorts and played it up with my favorite fruit...tote that's technically really a chiller. 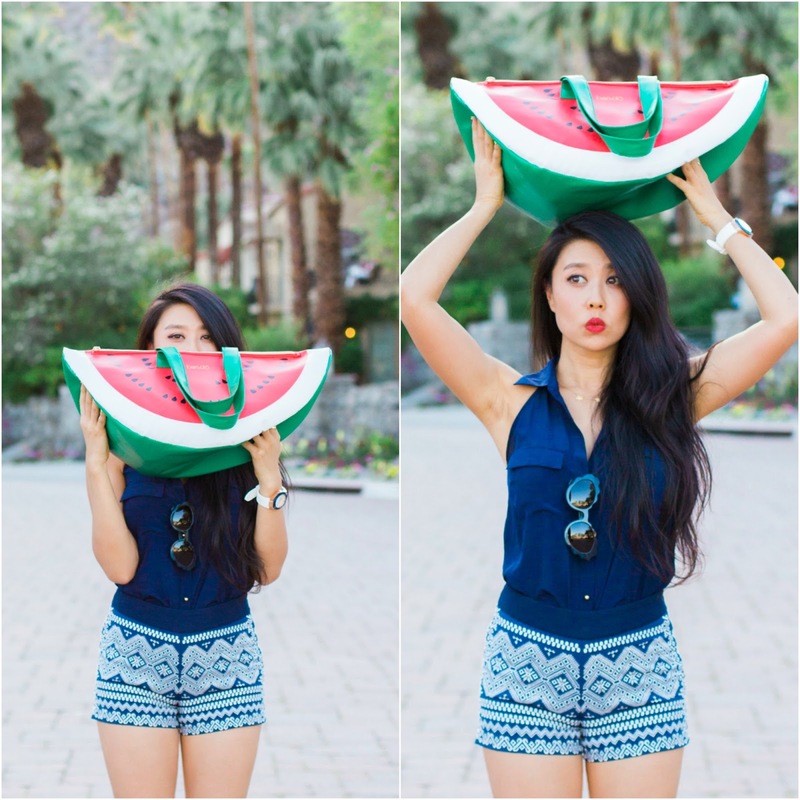 Hmm, what if I pack watermelon in my chiller? My watermelon is giving birth!! !